Video (screencast): Good once, good three times, or always good – what game do you want to make? Below is the text of the slides. There's much more to the video than that, of course. Good once, good three times, or always good – what game do you want to make? But a friend tells me that author Robert Heinlein at one point says this about the nature of jokes: "Funny once, funny twice, or always funny"
This tends to apply to modern games, both video and tabletop. "Enjoyable once, enjoyable thrice, or enjoyable always." So why don’t more people “call out” those weak games? That’s sad . . .
What standard are you working toward as a designer? Below is the text of the slides. There's more to this in the video, of course. But isn’t a game the mechanics? Technically, quite a bit; practically, NO! A big selling-point of games (to publishers) is inexpensive components (16 or 20 cards only, for example). What makes the game Unusual? It’s the Kiss of Death to say, for example, “it’s a deck-building game”. There are hundreds of deck-building games. What sets yours apart? Why would anyone bother with it? The publisher wants to know what makes your game unusual, not what makes it ordinary! If your definition as a game designer of your game is that it's a worker placement game (say), you've already failed. The only thing that approaches mechanics is “Game Type”, where I might say “Sweep of history game” – but that isn’t mechanics, is it? Talk about how your game affects players, what the components are, why you’ve designed it as you have (where you might mention mechanics). I intend to be at GenCon and WBC (from Wed afternoon). Sounds much like a puzzle, doesn’t it? Story-in-video-game tends to be linear because it’s a lot cheaper to make! In Games, DS is a BAD IDEA! If a game has a dominant strategy, it’s BROKEN! Are you designing something that has always-correct solutions? 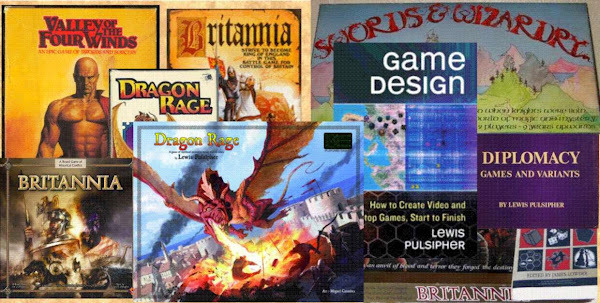 Are you content to design a puzzle or linear story-game, or do you want to design a game?